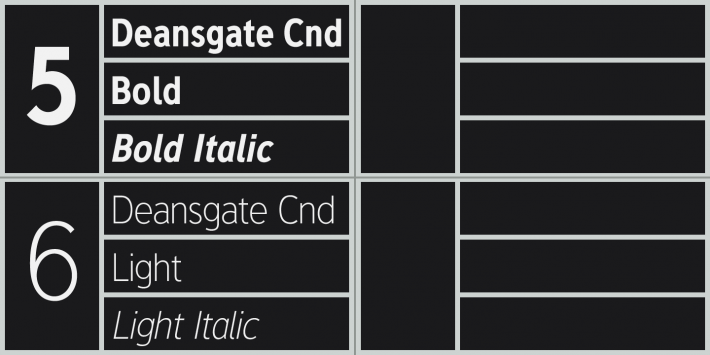 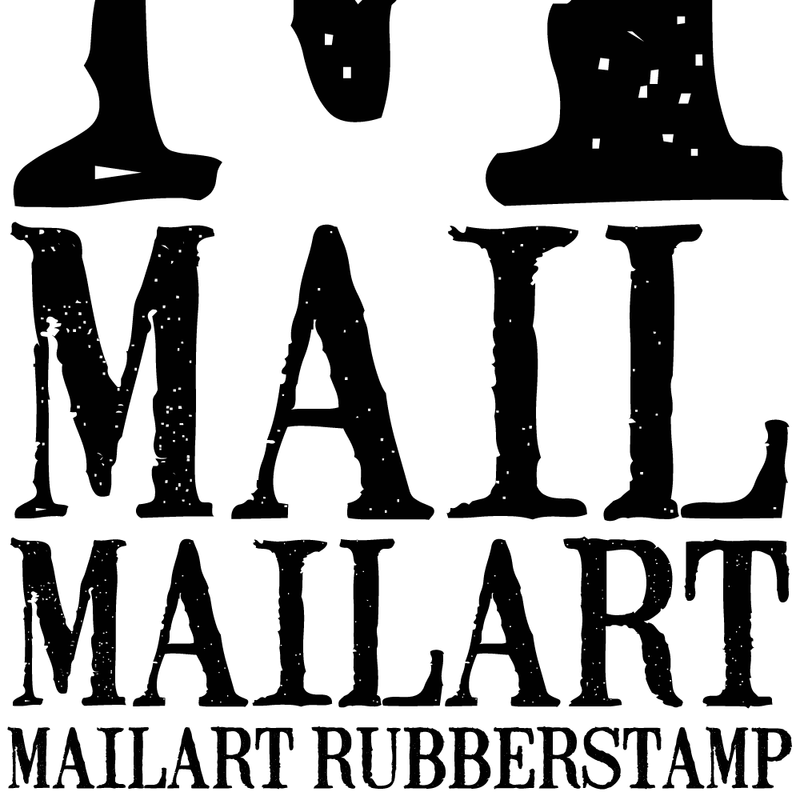 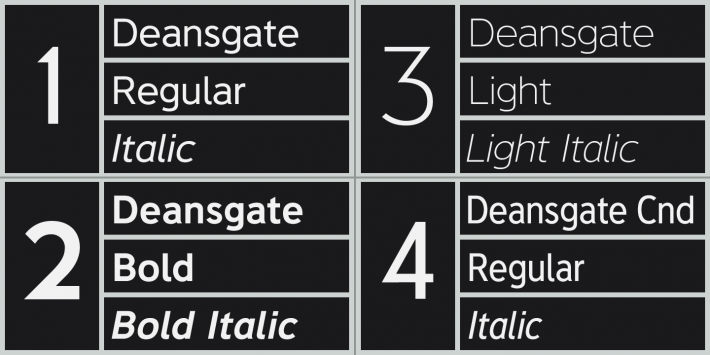 The Bold weights of each family are perfect for signage, with monoline strokes designed for easy reading, close up or at distance, and with the legible, slightly ’squarified’ round shapes normally associated with grotesque faces. 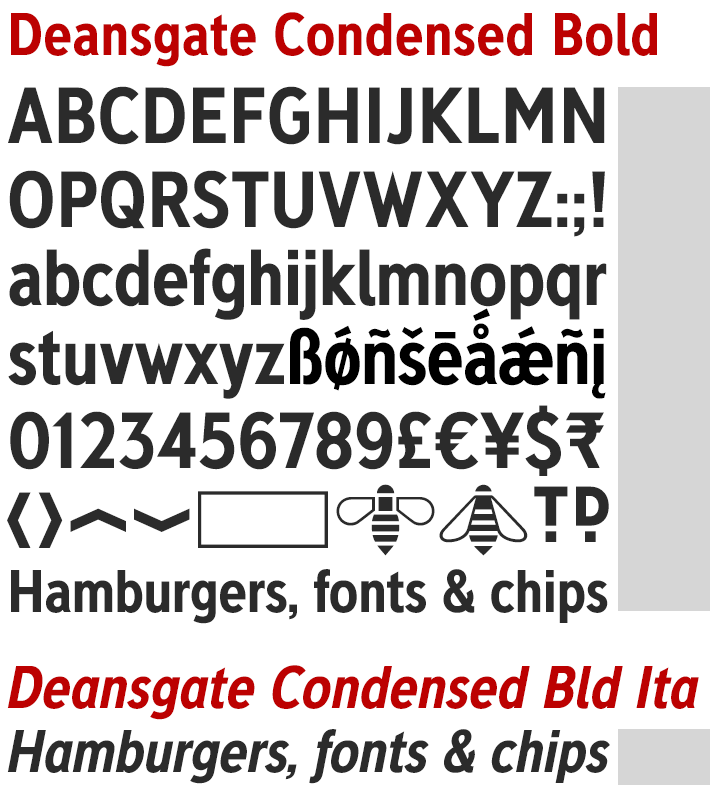 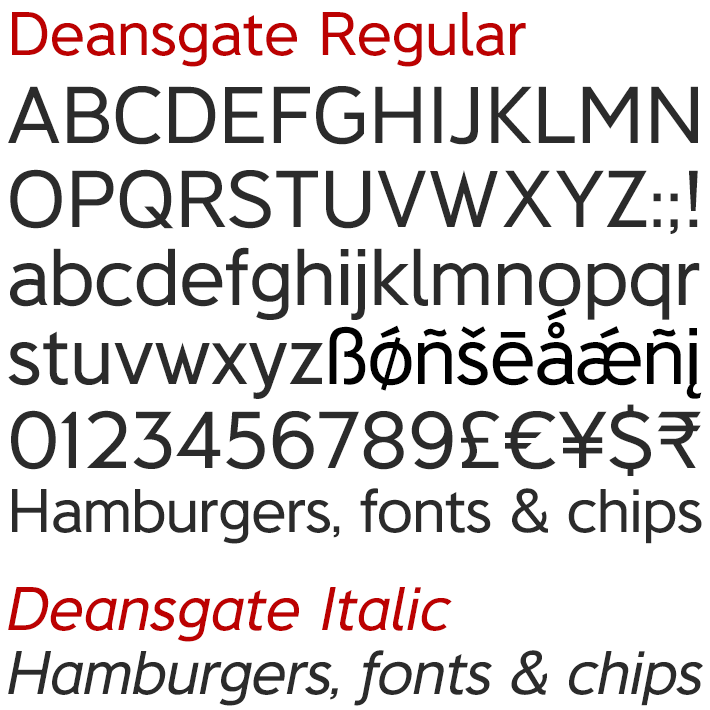 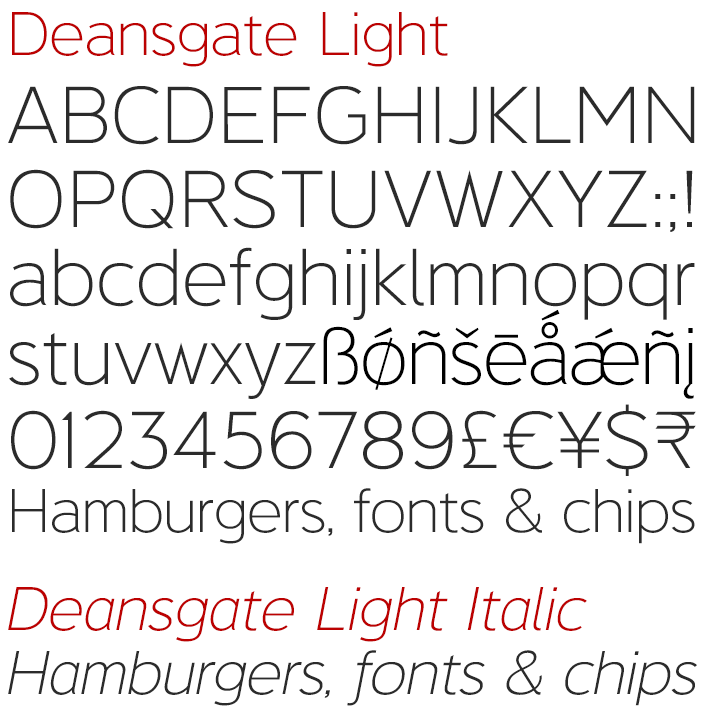 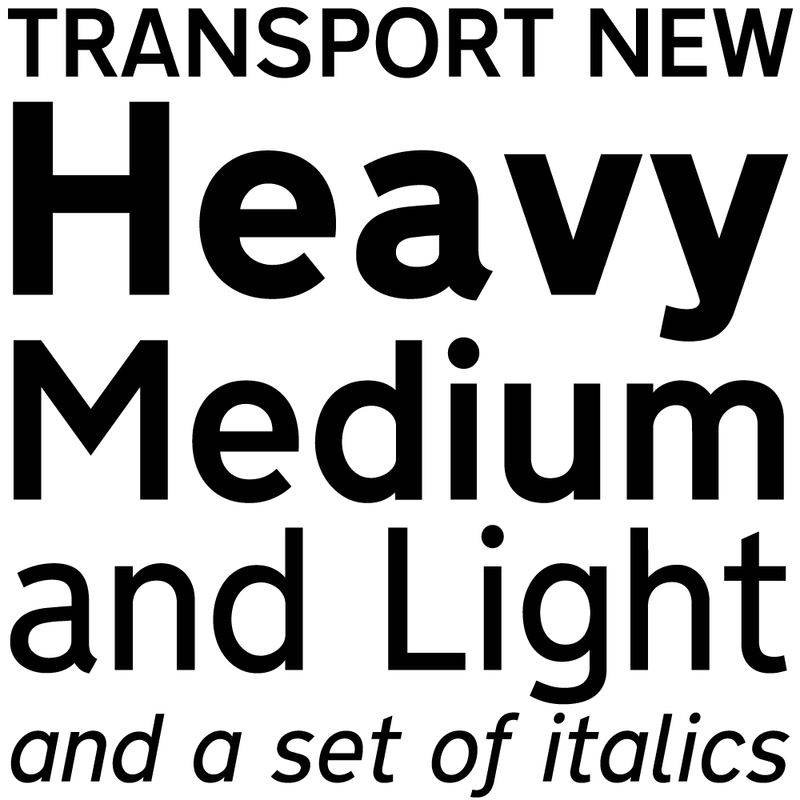 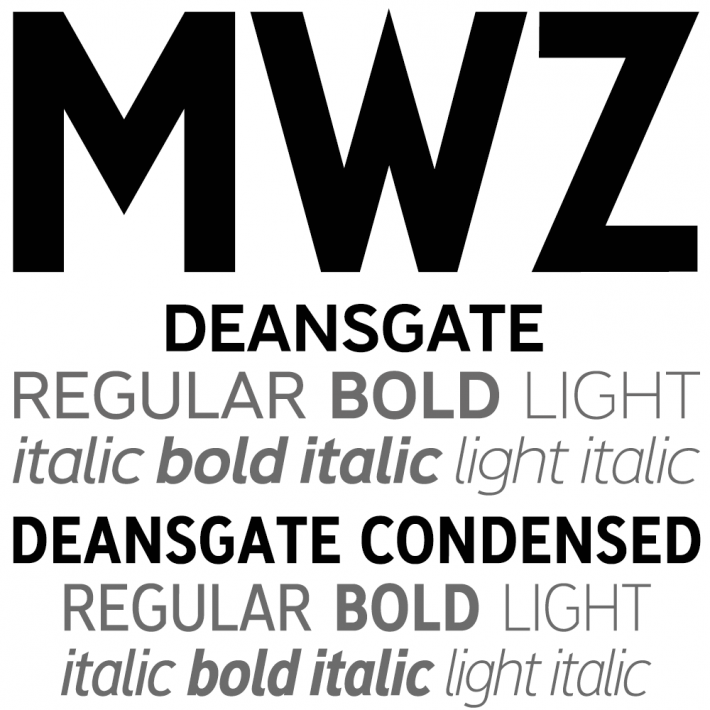 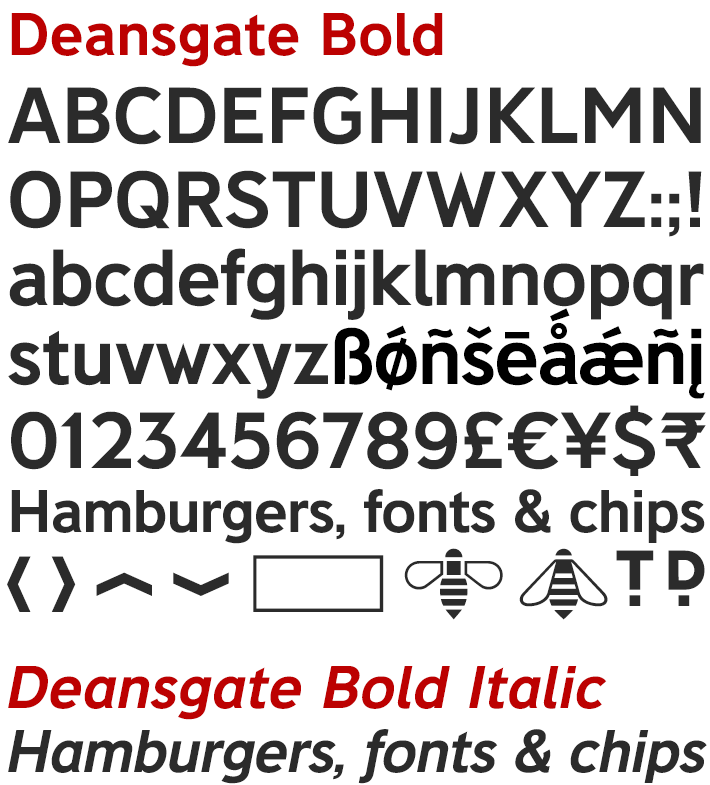 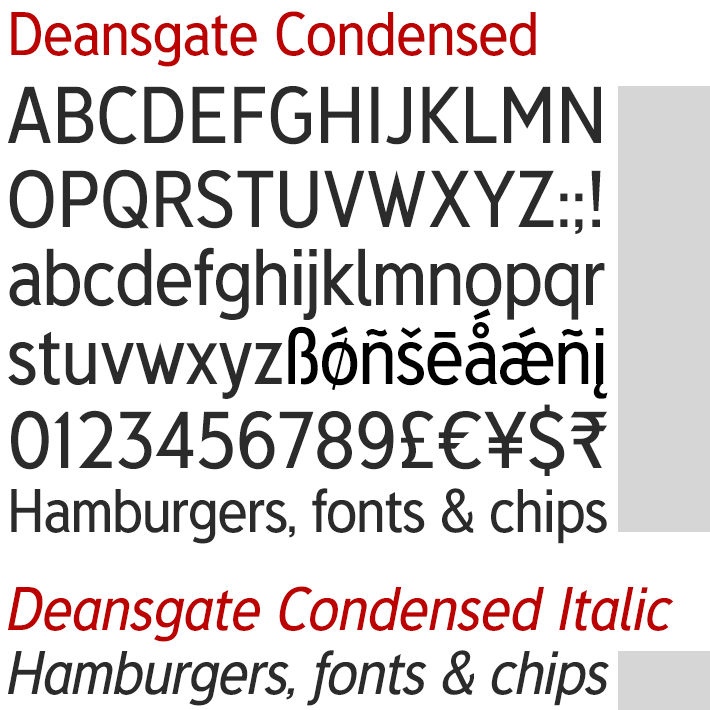 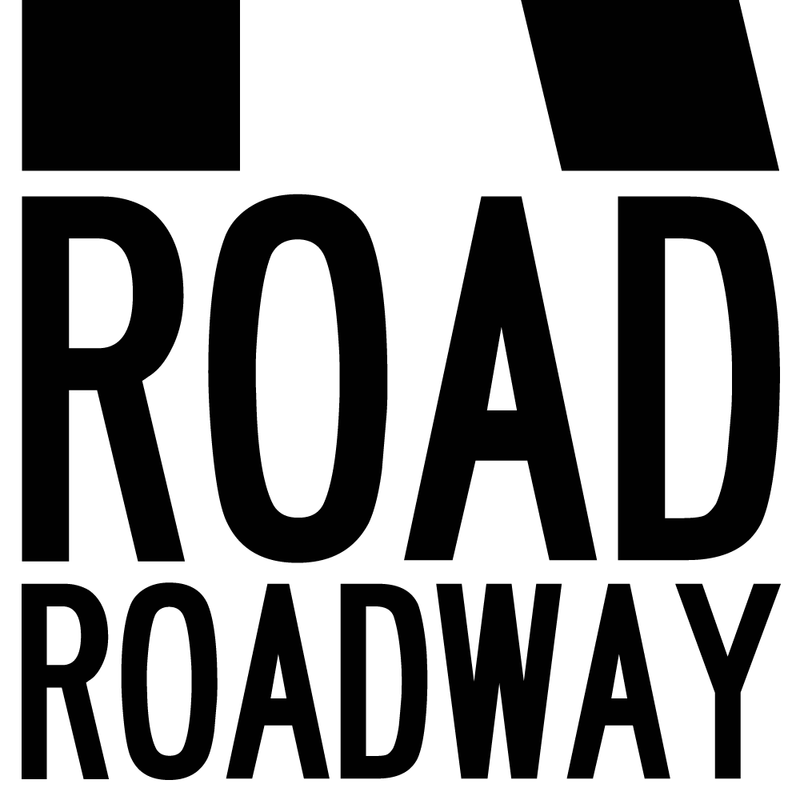 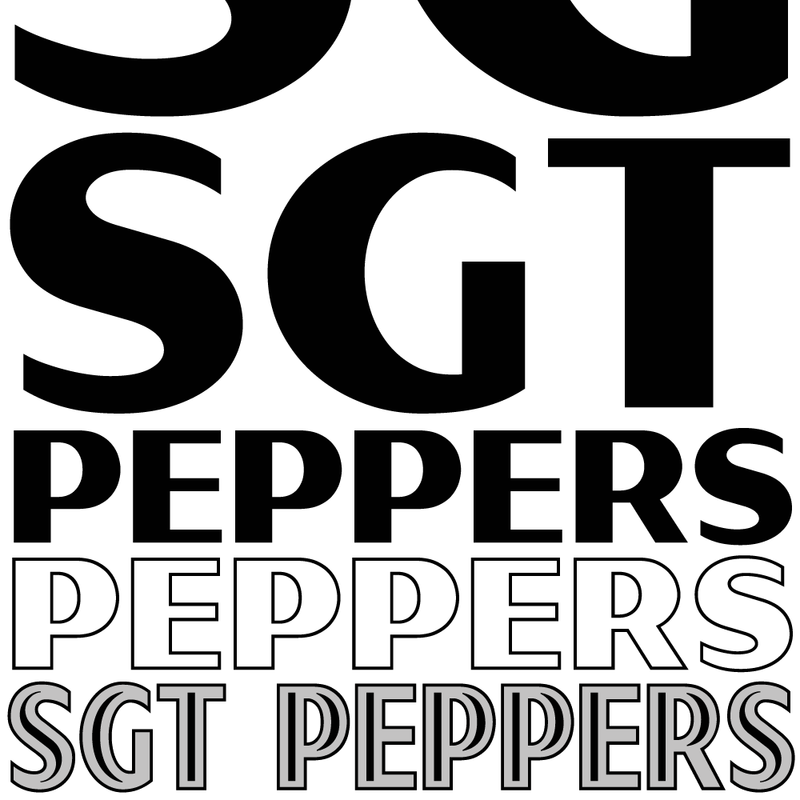 The new lowercase tips the hat to the Transport fonts, and the Regular and Light weights transfer the clarity of the Bold faces to Deansgate’s text fonts which are ideal for use on the web or in print. 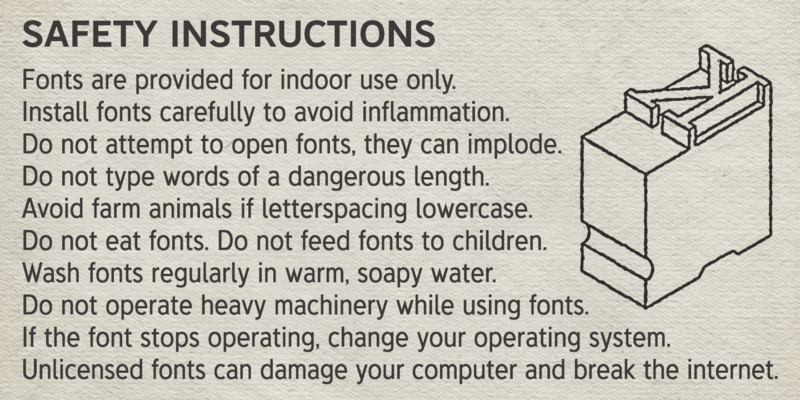 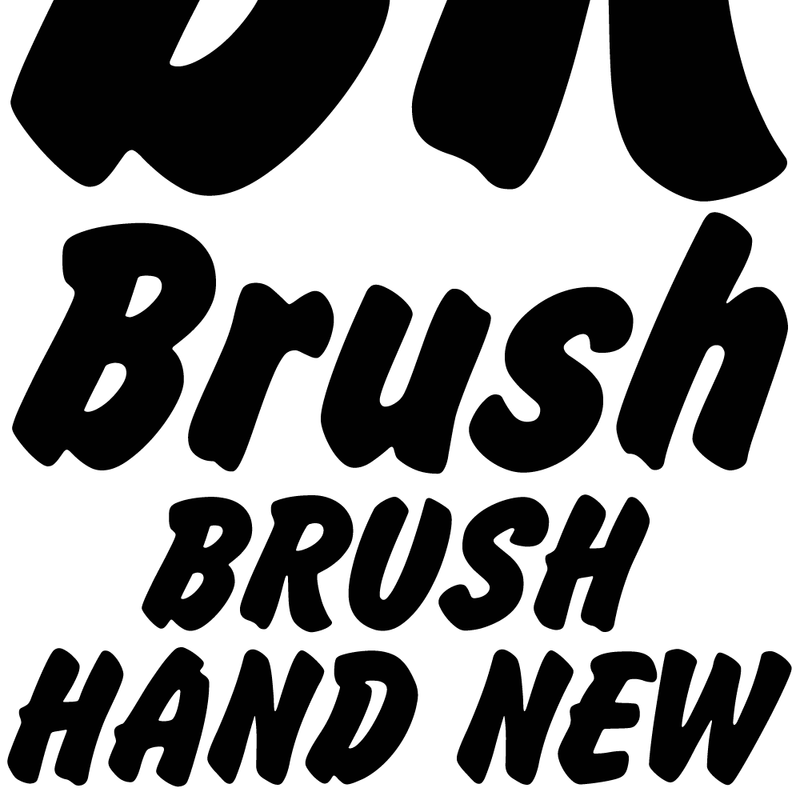 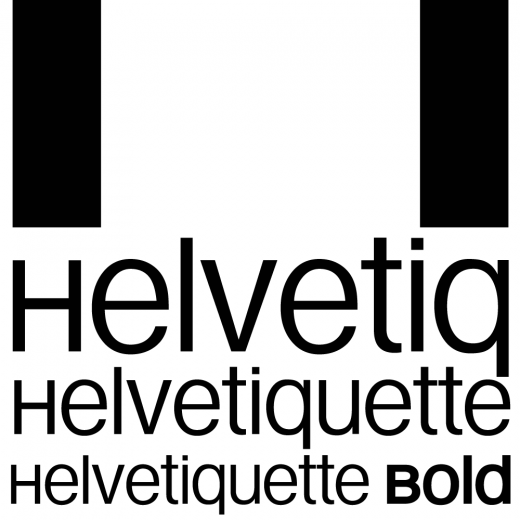 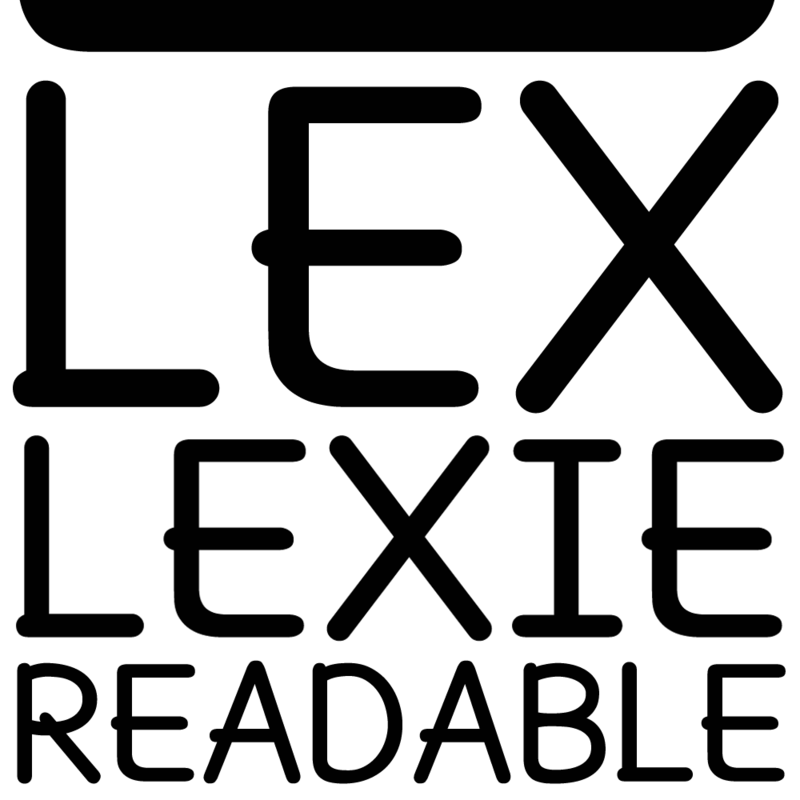 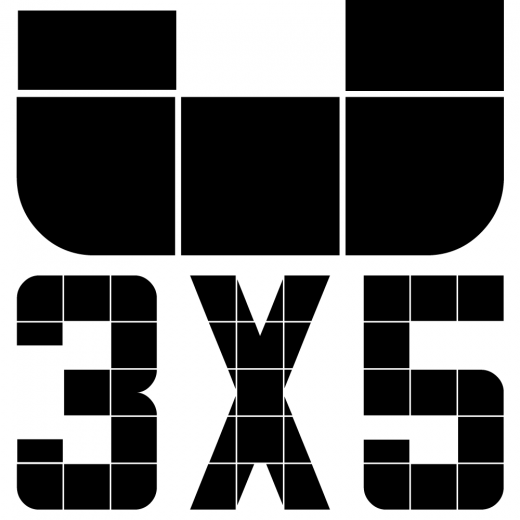 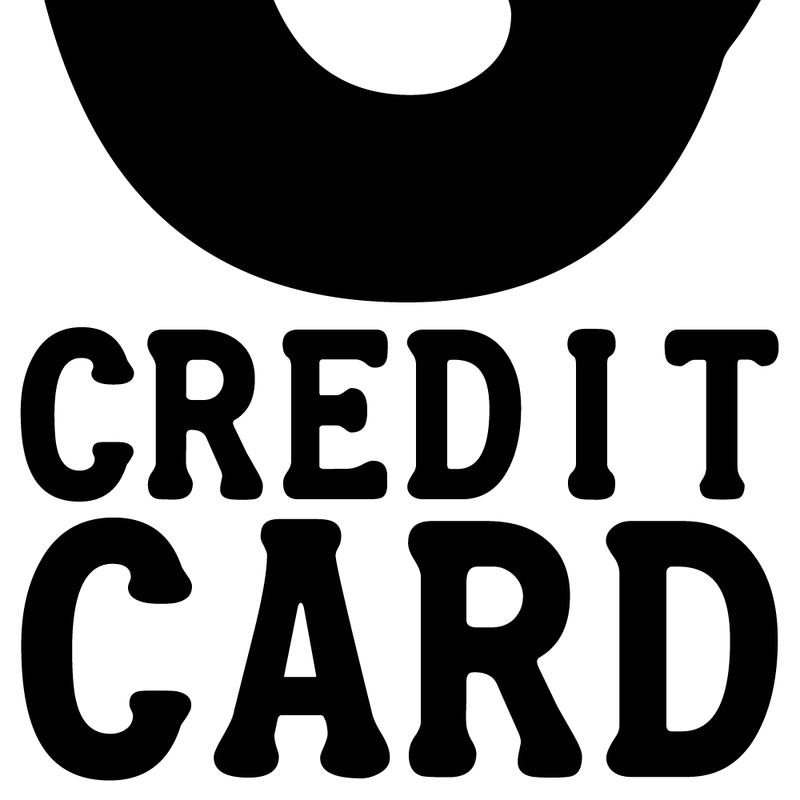 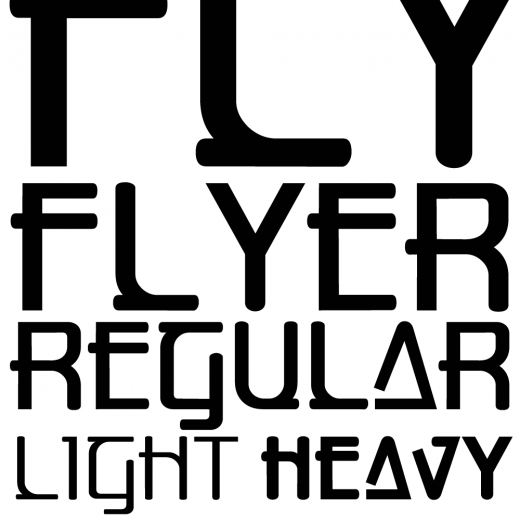 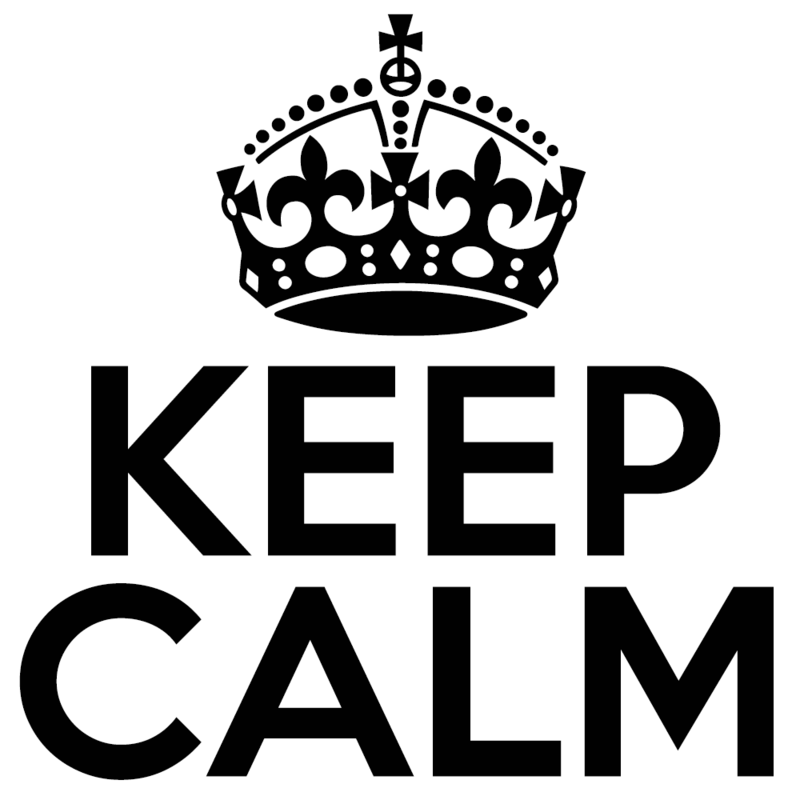 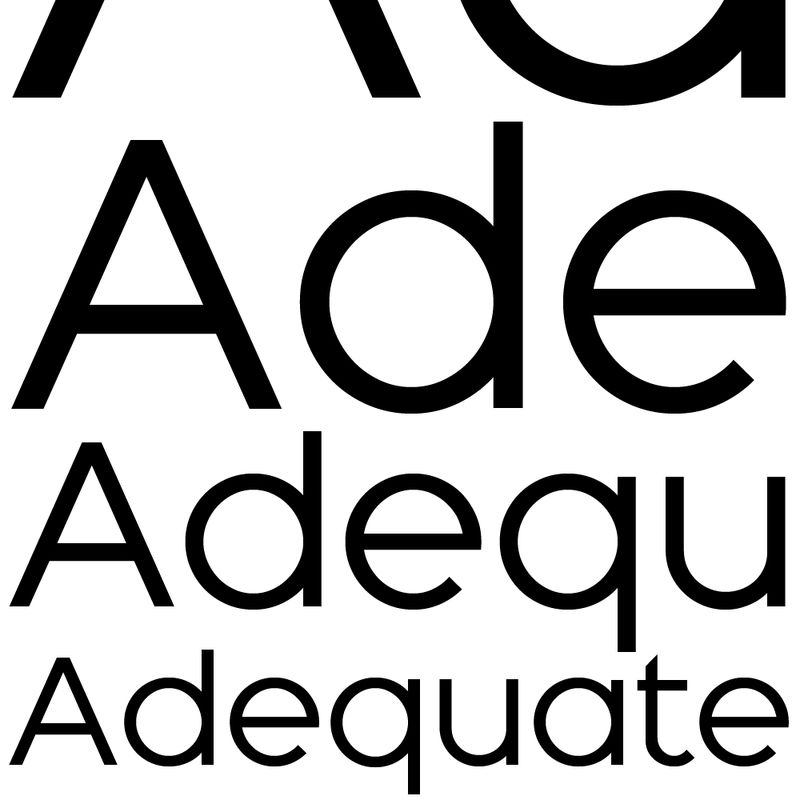 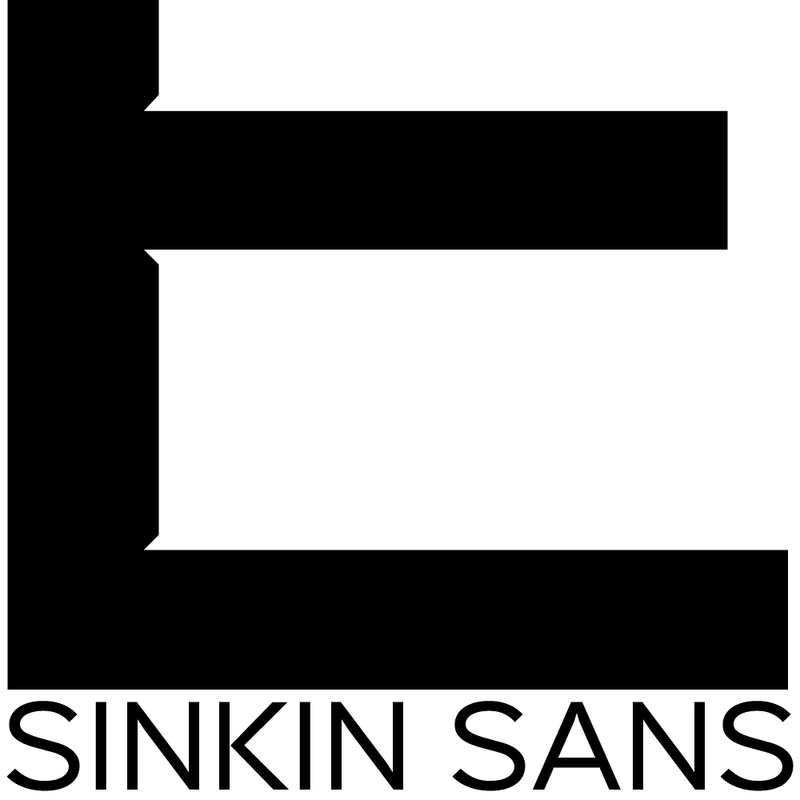 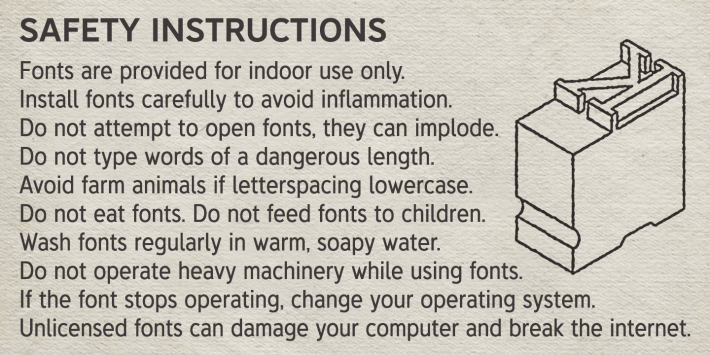 Each family contains six fonts – Regular, Bold and Light, plus complementary Italics for each weight. 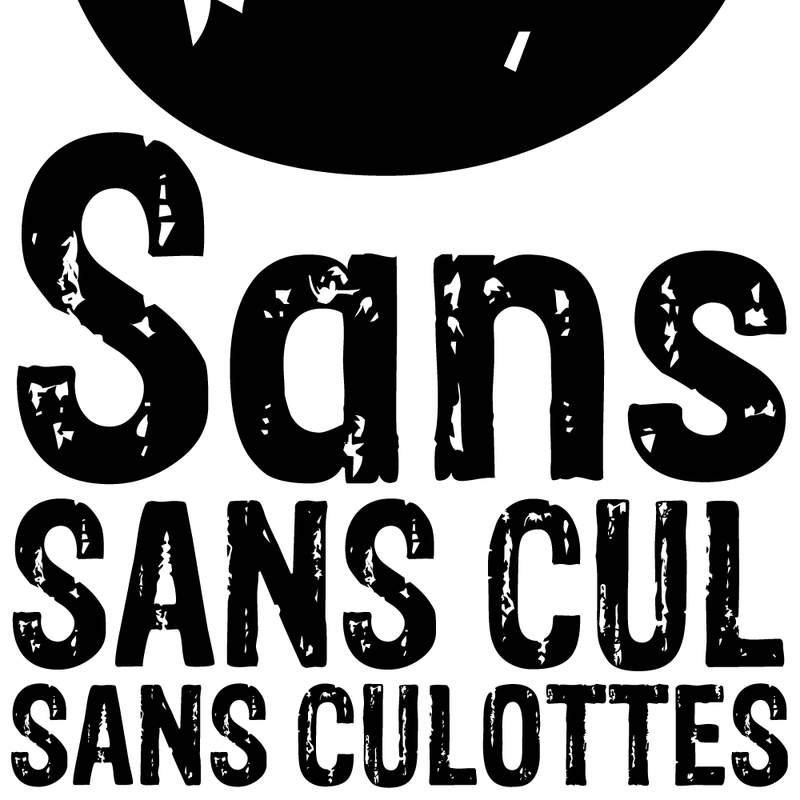 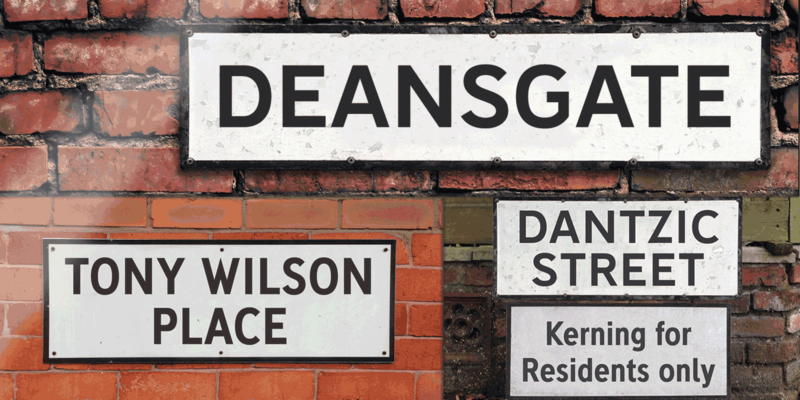 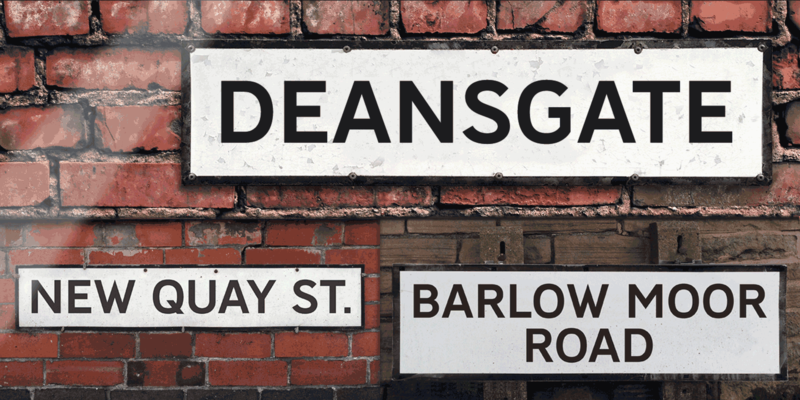 You can read more about the origin of the Deansgate typeface in the Kernel.